occurred within the memory of humankind. The New Testament of the Bible concerns itself largely with the life and death of Jesus, and related stories. 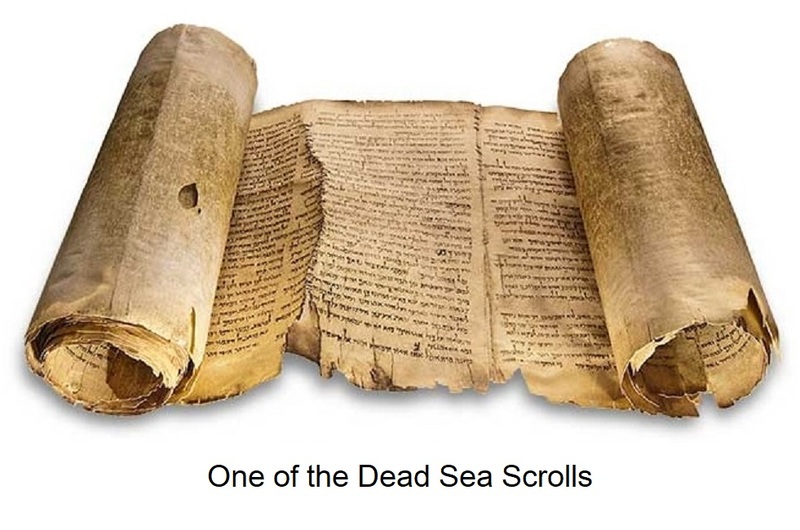 Because of this, the Old Testament may have been seen as a problem, or even an embarrassment, to those who were collecting religious texts for inclusion into one book. One problem was that the Old Testament contains direct quotes from the first people on the planet, which is not possible, as well as events that seem deeply involved with magic. At the same time, there were others who regarded the Old Testament as such a work of art that to include it with the New Testament in the same book constituted ‘a sin’. Try resolving that one with a committee! The Old Testament is a rich combination of actual historical observations, including explanations of the origins of Judaism, with allegorical accounts, and imaginative fiction where required. In using it I have often relied upon observations that were first brought to my attention by Velikovsky, and along the way, I learned something about the Jews and their history and that of other historic groups. It isn’t always apparent just where reality lies, but as Velikovsky showed us, other sources may be available to offer corroboration. One such source, heavily laden with allegory, is ‘The Iliad’ by Homer, which is not only an artistic masterpiece but a significant historical account. Attempts are often made to provide a plausible explanation for the cause of a real event. One such example pertains to a flood that covered the Earth ten and a half thousand years ago. Cultures around the world recall this event which was the most impressive to be retained in all of human memory. 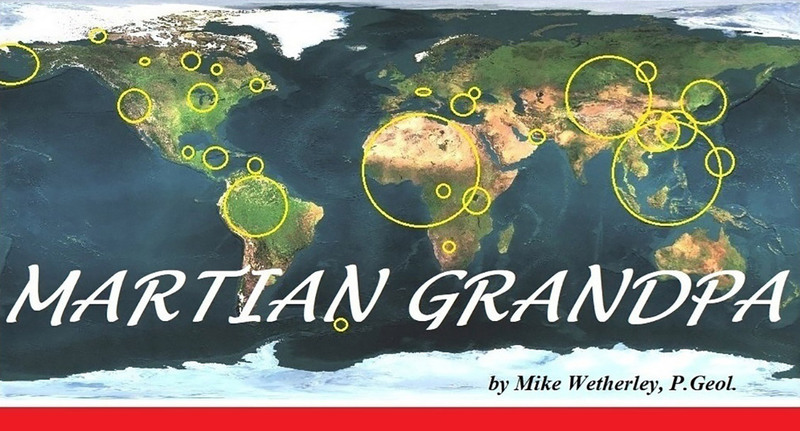 It is explained in the Old Testament in terms of rainfall, and springs beneath the sea (Genesis 7:11), while it actually resulted from seawater flowing over the continents during an axis change. This took place when the continents plunged beneath the oceans, as points occupying the geographic poles were moved to lower latitudes. Some stories fail on logistics alone, and Noah’s Ark is a good example. In the book, ‘In the Beginning’, paleontologist Chris McGowan goes to abundant lengths to point out the impossible logistics of an ark as described in Genesis. I read recently that more than 4,000 species of bees have been identified so far in North America alone, which offers a hint of the magnitude of the challenge. The Flood itself is another matter. In a scholarly and well-written book, ‘Noah’s Flood’, the story of the flooding of the Black Sea is documented by William Ryan and Walter Pitman. It is probable that stories of the escape from the Black Sea flood influenced the telling of the story of Noah in Genesis, and I accept that. The Black Sea is close enough to the lands of the eastern Mediterranean that some editors of the Old Testament could have been direct descendants of survivors of that flood, who grew up hearing stories about it, some exaggerated. The problem here is that the authors assumed, without justification, that the Black Sea Flood was the only one, and that the world-wide flood of thousands of years earlier never took place. That was their fundamental thesis, which was a mistake. There is much of real historical value to the Old Testament, which should interest historians and scientists alike. Scientists cannot continue to pretend that something didn’t happen just because one source of information happens to be a religious book. And as Velikovsky pointed out, it isn’t necessary to prove that something is probable if it can be shown that it happened. I have written elsewhere that if you want to learn how fossils really form you should visit a Creationist museum because these people know there was a flood. “What is history but a myth agreed upon?” is attributed to Napoleon Bonaparte. Unfortunately, some of our scientists have taken this attitude, best left to politicians, so far that they think any myth they can come up with can constitute scientific history if that is what they choose. There is too much evidence for them to get away with that, however, if the public were only prepared to hold them to account. Creation Science is often in the news, especially in America. While anathema to secular scientists, some of their views have a value that has not been widely recognized. Creationists have a good record of identifying weaknesses present in secular science. I might disagree with their conclusions, but many doubts they have raised have value in themselves. Two or three hundred years ago religion had an answer for everything, while science had answers for very little. More than most scientists would care to admit, their explanations have often been influenced by religion, as scientists attempted, with insufficient evidence, to provide explanations to counter the claims of fundamentalists. Sometimes, their explanations were wrong, although as science developed, many explanations were abandoned long ago. This is something that the Creationists might attempt to emulate, as they repeatedly drag out tired and disproven arguments in support of their claims. An example of such an argument never being withdrawn is the hoary old claim that the probability of a cell developing at random is the same as that of a whirlwind passing through a junkyard and producing a Boeing 747. This claim is actually true since both are impossible, but what we are required to overlook is the falsehood that the cell developed randomly. Creationist arguments frequently consist of setting up a straw man and knocking it down. A modern cell is very far along in the story of evolution. To travel back to random development we could consider an amino acid occupying a mineral template, such as a crystal of ice on a comet that is being bombarded with radiation from a star. This might or might not have anything to do with how life actually began, but it does suggest how far back we would have to go before arriving at processes that could be described as ‘random’. This does not change the fact that some Creationist claims are true while some relevant claims of secular scientists are not. In fact, the entire cult of modern Creationism as it exists, particularly in North America, has received huge encouragement by secular denial of the Flood, which is a mainstay of Creationist belief. Nothing validates a self-evident claim more effectively than having it denied. Well, there was a flood about 10,500 years ago which affected the entire world, and which undoubtedly led to the account in Genesis. There are two aspects of this, however, that Creationists need to consider. The first is that there have been many floods, and it is certain that there will be many more. The Bible mentions only one, and guarantees that there will never be another, which does present Creationists with a bit of a problem. The second point is that springs and rain providing the water must have seemed like a good idea at the time to the authors of Genesis when they were writing down oral accounts of it thousands of years later. In fact, the water was salt water from the oceans, which stood upon the continents before draining back to the sea. The concept of springs and rain providing the water for a flood certainly appealed to NASA scientists attempting to explain the formation of Valles Marineris on Mars. One can only speculate as to the influence that the account in Genesis may have had on them. When the Roman Catholic Church brought Galileo before the Inquisition in 1633 for repeating his claim that earth orbits the sun, he was confined to house arrest for life and forced to recant his views under threat of torture. Now, with abundant irony, cosmologists have developed their own cult that is as intolerant of challenges to their orthodoxy as was the Roman Catholic Church back in the 17th century. Orthodoxy is seen to require protection at all costs by those whose vested interests are so deeply entrenched that they may have come to validate their very existence. With their social standing and a carefully cultivated self-image dependent upon it, any challenge to a system to which they are so entirely committed can be perceived as a threat. The ‘Velikovsky Affair’ from the 1950’s is one of the best-known examples, but today it is often explained away as having taken place ‘a long time ago’. In an example from half a century later however, Vanessa Collingridge, author of ‘Captain Cook (A Legacy Under Fire)’, wrote the following: “The high ideals of academia were exposed as a mockery, and knowledge was mired in the dirt of those who protected their ivory towers rather than defend the freedom of ideas and the pursuit of truth”. It appears that not much has changed. Responding to a reader’s letter in Scientific American (2009-04), Michael Shermer wrote in part: “But in science, we rely on evidence, experimentation, corroboration, repeatability….” Oh Michael, if only that were true! It can be true on the left-hand side of ‘The Chocolate Box’ and perhaps mostly is, but it definitely is not true on the right-hand side. Curiously, scientists on the right represent themselves as being exactly the same as scientists on the left, but as you travel further to the right the differences become increasingly apparent and increasingly significant. Dr. Shermer writes a single page article each month in Scientific American, and I have found many of his articles interesting because he covers a variety of topics. With a degree of conviction that can only be brought to bear by one who is absolutely dedicated to defending his beliefs, he commented (2013-09) on “…Fred Hoyle’s bungle of siding with the steady state model of the Universe over what he dismissively called the ‘big bang’ model despite overwhelming evidence of the latter.” (My emphasis). No such evidence exists, of course, beyond the unanimity of members of the ‘Old Boys Network’, and the professional writers who support them. Peer review is a sacrosanct concept to some scientists, and if a paper fails to survive this process it is taken as absolute proof of its shortcomings. But what happens when one’s peers are wrong, when peer review amounts to nothing more than a filter leading to the lowest common denominator, when the high priests in some inner sanctum control the process, where vested interests supported by a lack of imagination are dedicated to defending their position at all costs, and against all comers? What then? Some revolutionaries have simply ignored peer review and appealed directly to the general public, and why shouldn’t they? It has never been demonstrated that scientists hold any monopoly on intelligence, integrity and, in particular, common sense. Since the public is usually footing the bill it is entitled to more than entertainment. (2010-08) “Physicist Lawrence M. Krauss lamented the fact that only 33% of Americans agreed that the Universe began with a big explosion.” I am also aware that only 45% of Americans accept evolution, which is unfortunate in itself, but let’s allow Americans some credit here. The ‘Big Bang’ is based upon acceptance that the spectral shift of galaxies is due exclusively to a velocity effect and no other causes are permitted to be considered. Even Edwin Hubble cautioned against this, and yet they now refer to the expansion as ‘Hubble’s Law’. To the non-scientist taxpayer, it must appear unbelievable that an entire science, and such a hugely expensive one, could be based on such a simple misinterpretation, but that is where we are. In ‘The Chocolate Box’ I have offered a classification of science ranging from Reality to Fantasy. At the Reality end science progresses about as well as anything carried out by humans is likely to do. In these sciences, hypothesise can be tested directly against Reality so that when a mistake is made, someone will correct it, sooner or later. Geology, which is situated in the middle of the box, is partly right and partly wrong. Of course geology, like all sciences, has its subdivisions, so that crystallography is on the Reality side while geomorphology (the origin of landforms) is closer to Fantasy. As Fantasy is approached we observe that opportunities for evaluating hypotheses against Reality are reduced, and are replaced increasingly by consensus. When something that seems to fit especially well stays around long enough it is elevated to truth, and additional speculation is then piled on top. A good example of this is the Big Bang, despite a common affectation of scientists who like to claim that they never know anything for certain. The problem with the consensus approach is that hardly anyone ever goes back to see if the original claim still makes sense because by then there is too much at stake to be placed at risk. The results from the Ulysses program should have led to the recognition that our Sun runs on electricity, but instead, the data was hidden, ignored, and eventually forgotten, allowing the original mythology to continue unchallenged. An example of this is NASA’s website on Ulysses, which has been repeatedly altered over the years to bring the data more into agreement with current orthodoxy. When a fundamental claim in a system is wrong, every subsequent claim based upon it will be wrong as well. Just as with the sciences themselves, it cannot be overstated that there are two very different groups of scientists. Close to the Reality end of the box, most scientists probably act in the manner that scientists themselves claim to, while at the Fantasy end everything is based upon imagination and consensus so that an entire science is not much more than a cult.